I have been a long time computer administrator and now I want to use this site to share my knowledge with you. I am hoping to create many videos covering many topics about computers and photography. If you have any suggestions or questions please sign up here or the forums and post me some feedback. It’s been quite a while since I’ve had to bother you. 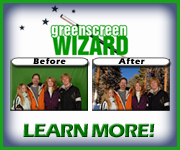 You helped me so much when I was getting started with my Photoshop Elements 10 several years ago. I purchased several of your excellent tutorial videos at that time. I’ve always remembered your expertise and how you were so kind to share your knowledge with folks like me (i.e. “dummies”)! OK… I’ve just now, after trying everything I can think of, accidentally clicked on a tiny little icon over on the bottom right, and the “Layers” box popped up. But where can I find the box where you can click on the dimensions of the crop size I want (4×6, 8×10, etc.)?? I hope and pray it’s just a tiny little thing that happened and can be fixed quickly. There is no way I can contact Adobe. I don’t believe there are real humans who work there, as they are totally unavailable whenever I’ve ever needed them!!! I’ve tried Googling this problem and cannot find anything that can help. I’ve wasted almost 2 hours on this so far tonight!!! PLEASE, PLEASE, PLEASE HELP, JACK, if you possibly can. THANK YOU!!! I have just started using elements 6. Do you still have your dvd’s on elements 6 that I can buy. Are you preparing tutorials for PSElements 2018 for purchase? Also, how can I get Bridge into my PSElements 2018? I just came across your YouTube tutorial on raw files in Elements 2018: Terrific!! Thanks. I am glad they are working for you. Thanks. I have not looked at Bridge and the new Elements. It looks to me that I will doing Elements 2019 videos since it is out. My Elements 15 course will get you to where you need to be with 2018. Thanks for watching. I am sorry I do not. I put all of my video online now. Visit: http://www.jtclearning.com. My best suggestion when ever this happens is to uninstall the program and re-install. I am sorry it took awhile to get back to you. I am so glad that you enjoy the videos. Take Care.